I believe that more things need to be written for SEO beginners. I remember when I first started, I had no idea what I was doing. It seemed as though when a blog post told me one thing about SEO, I would end up clicking on another post that said the exact opposite. I became very confused, to put it mildly. The first thing that SEO beginners must remember is that the internet is a fickle creature. The rules change, as do Google’s algorithms. What’s fine with Google one minute might not be so fine the next. This makes research paralysis a serious issue for those just starting to learn about the scary world of search engine optimization. Researching can only go so far. Soon action must be taken! Personally I follow the Yoast WordPress plugin guidelines for optimizing the pages I write. Though if you do not pay for a WordPress website you might not be able to download the plugin. That’s one reason why I have written out the Yoast way of SEO. This will make your post more likely to get to the front page. When I was first learning how to optimize a page I couldn’t figure out where I was supposed to put the ALT tags. After trial and error, I finally discovered the proper place! There are two areas you can put your ALT tags. When uploading your photo on WordPress there should be a place, right before you “insert” your picture, that says “image alternative text.” Simply put in your focus keyword/phrase. When you have your picture uploaded into your WordPress draft, you can click on the picture to edit it. Like the picture above shows, there should be a place to put in your ALT tags. If it’s at all possible, try to make certain the photo’s file name has the keyword/phrase in them also. 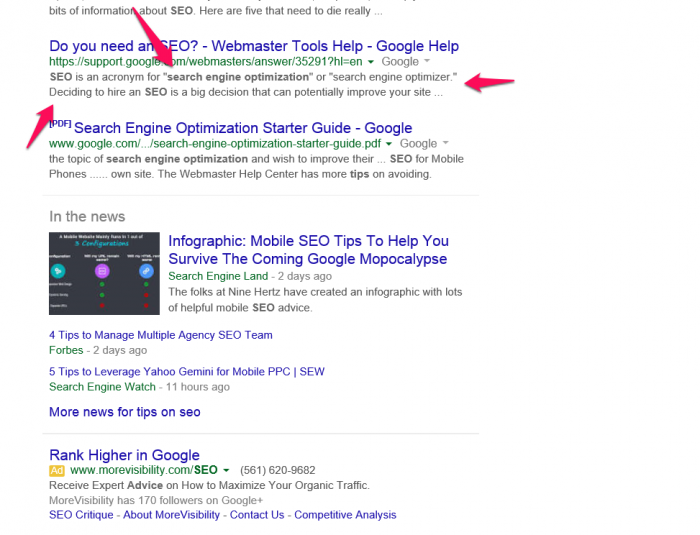 This can help when someone is Googling images that are related to your blog post or website. This helps when people stop on your page and want to quickly know what it’s about. It helps prevent people from clicking away from your page. The Yoast plugin suggests writing 300 or more words. I would have to agree with this. When people use Google they are hoping to find the best answer to their problem. It’s very hard to give that to someone in 100 words. Another thing with having longer pages/posts is that it will be more likely to get linked to by another website. The more links that point to your post the more likely Google will be to rank it higher. This doesn’t help with ranking your page, but it does give your visitors a good idea of what your post is about. They will be far more likely to stay on your post if the meta description gives them an accurate idea of what it is about. This makes it easier to be more descriptive in your title. This can catch your visitor’s interest. I think this is pretty self explanatory. This part is tricky. You don’t want your keyword spamming your page because Google penalizes people for that. On the other hand, you don’t want to have your keyword show up only once. There is no set amount of times you *should* or *shouldn’t* use your keyword. That being said, I would suggest only using your keywords where they flow naturally in your writing. Don’t go angering the mighty Google oracle. . . Better yet, have your keyword very close to the beginning. This tells people what the post is about and if they found the right one. Google likes it when people share the love. That’s why you see so many blog posts linking to other websites that are related in some way. It may seem odd, but people will appreciate the depth of information and links you provide. This could cause repeat traffic! Readability scores change greatly depending on what subject you’re writing. The recommended score on the Yoast plugin is 70 or higher. If you’re not able to use Yoast, there are other websites, such as readability-score.com, that allow you to view how easy or difficult it would be for someone to read your work. It’s often very hard for me to get a score of 70 with the content I write, because it is in the medical/alternative medicine field. Keeping sentences short is advisable and has helped me in my readability quest. SEO isn’t just about onpage optimization. Even if you do everything “right” or “by the book” your post might not reach the front page of Google. It is important to remember that Google also takes into account how many other sites link back to your page. So make sure your page is sharable to social media websites like Facebook and Pinterest. Happy writing! Click HERE to go back to the Author Resources page. Kate Thomas is writer who specializes in web content and on page SEO. When she’s not working at her computer she can probably be found snuggling her dog, eating chocolate, and reading Harry Potter. If you have any questions, she is able to be found at kthomasfreelance@gmail.com. 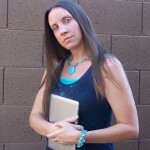 You can also view her writing portfolio website if you’d like to see more of her work.